More districts to look at for Democratic opportunities outside of the traditional urban areas. 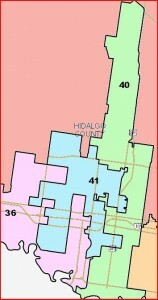 Patrick Rose won this district in 2002, the only Democratic takeover of an existing Republican seat that year. Like many other Democratic legislators, he was swamped by the 2010 tide. 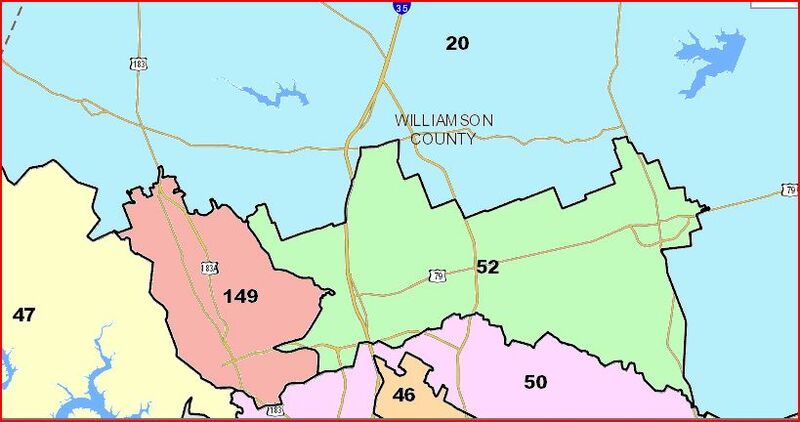 The new HD45 drops Caldwell County, which was moderately Democratic at the downballot level in 2008; adding it in makes Susan Strawn, at 47.1%, the top Democratic performer. Rose always won with crossover appeal; as that was in short supply last year, he lost. 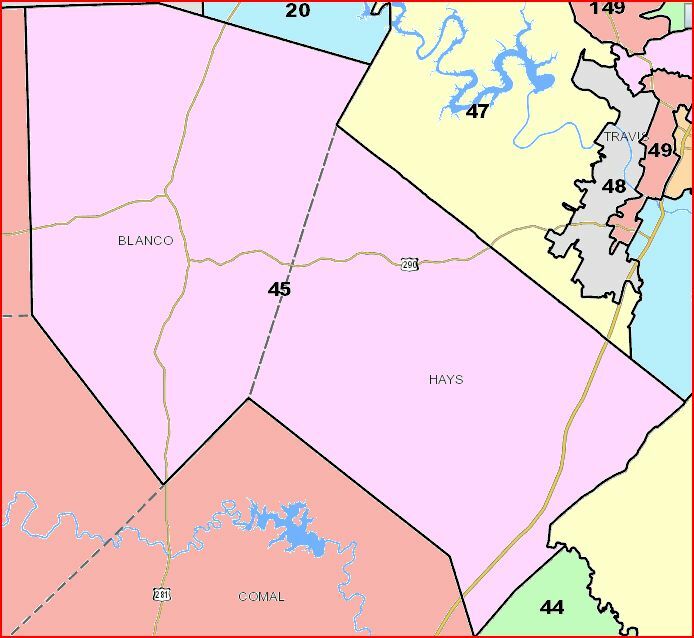 If Hays County gets blue enough, crossover appeal won’t matter much, but until then a candidate will likely need at least a few Republican defectors to win. I don’t know what kind of Democratic organization exists in Hays right now, but there needs to be some for 2012. Best 2008 Dem performance:Barack Obama for each, 46.18% in HD52, 45.92% in HD149. Unlike a lot of other districts, Obama outperformed the rest of the ticket here, by three to six points in each case. I don’t know how that changes the dynamic, but I thought it was worth noting. 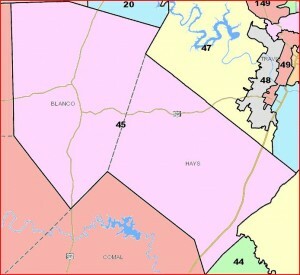 Both districts are in the southern end of WilCo, the fastest growing and closest to Austin parts of the district. I don’t know how conducive they’ll be to electing Democratic reps in 2012, though obviously they both need to be strongly challenged, but it’s not hard to imagine them getting more competitive as the decade goes on. I don’t expect there to be too many boring elections in either of them. This one was totally not on my radar. It was so unexpected to me that I figured Aycock, who won easily in 2006 and hasn’t faced a Democrat since, must have gotten screwed somehow by the committee. 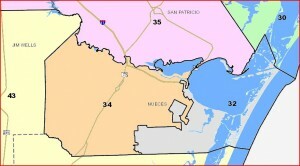 The 2008 numbers for his old district, in which Houston also got a plurality with a hair under 49%, says otherwise. 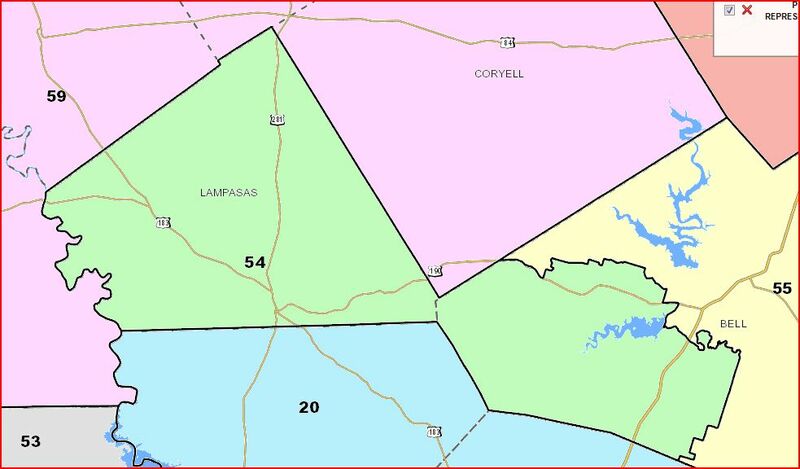 HD54 swaps out Burnet County (now in HD20, one of the three Williamson County districts) for more of Bell but remains about the same electorally. Typically, downballot Democrats did better than the top of the ticket, with only Jim Jordan and JR Molina not holding their opponents under 50% (McCain got 51.20%, Cornyn 53.85%). 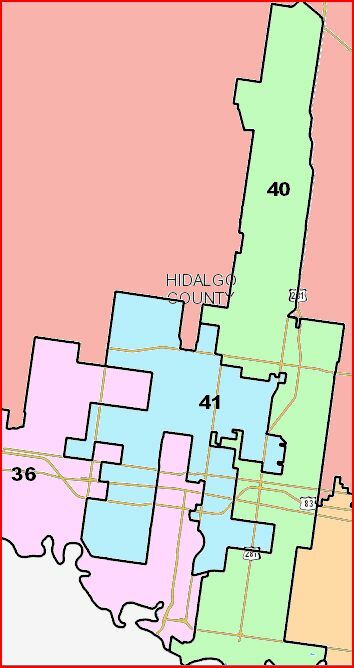 I figure the 2008 result in HD54 was a surprise, but the 2012 possibilities should not be. One possible wild card: Aycock was a ParentPAC-backed candidate in 2006, and as far as I know he maintained that endorsement in 2008 and 2010. Back then, the main issue was vouchers, which have been dormant in recent years. Will Aycock’s vote for HB1 and its $8 billion cut to public education cost him ParentPAC support? If so, might that result in a primary challenge, or a general election opponent? That will be worth paying attention to, as it could affect other races as well. 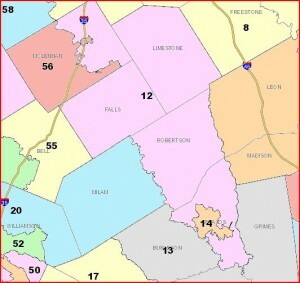 I don’t actually expect any of these districts to be competitive in 2012. However, if the Democrats hope to have any chance to take the House before the next round of redistricting, they’ll need to be by the end of the decade. Collin and Denton have been two of the fastest growing counties in the state – each got a new district in this map – and they have been slowly but surely trending Democratic. They started at a pretty low point, of course, so they can trend for a long time before it becomes relevant, but as more and more non-Anglos move into the traditional suburbs, I expect the trend to continue. The question is how fast, and how much blood and treasure the Democrats will put into hastening it. 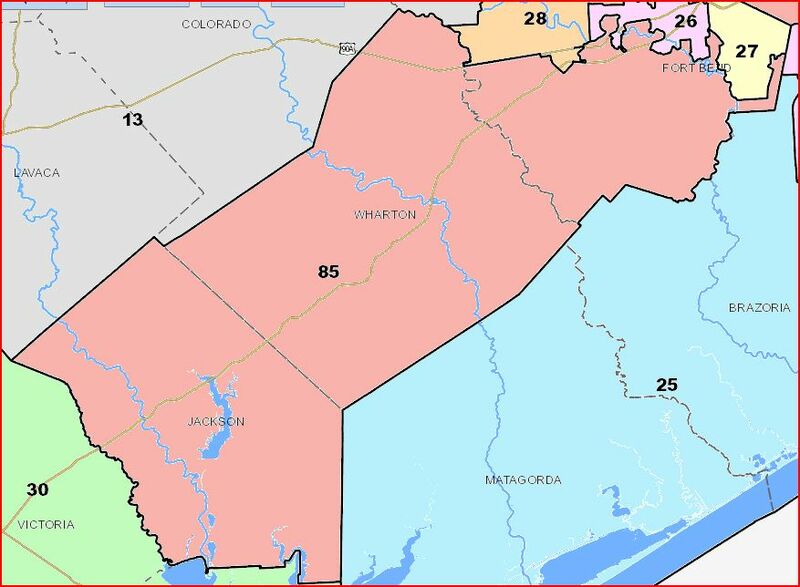 This is the new Fort Bend district, comprising territory that had previously been represented by John Zerwas (Wharton and part of Fort Bend) and Geanie Morrison (Jackson). As with the Denton and Collin districts, it’s probably out of reach in 2012, but it’s also likely to see a lot of growth and demographic change over the course of the decade, and as such ought to get more competitive over time. And again, it needs to be, as I don’t see a path to a Democratic majority that doesn’t include districts like this. 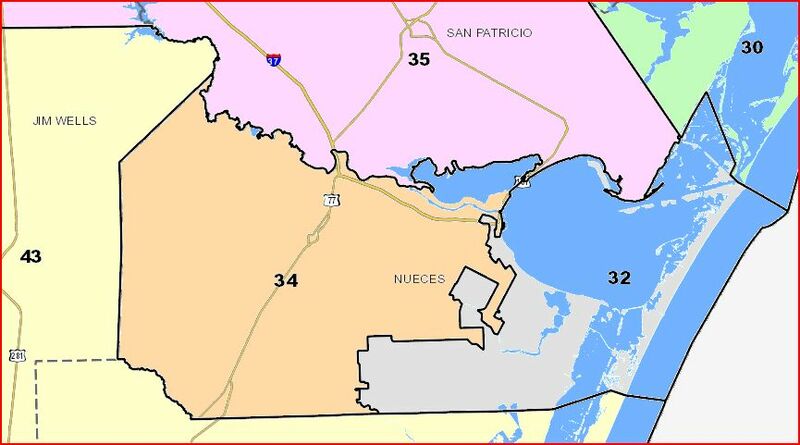 – Houston improved on Van Os’ percentage by six and a half points, going from 40.76% to 47.31%; Strawn did a bit less than five points better than Molina, 42.14% to 46.86%. (Note that both 2008 races included a Libertarian candidate, while neither 2004 race did. All percentages are based strictly on R/D vote totals only.) In doing so, Houston cut the 2004 deficit by 875,000 votes, while Strawn improved by 616,000 votes over 2004. 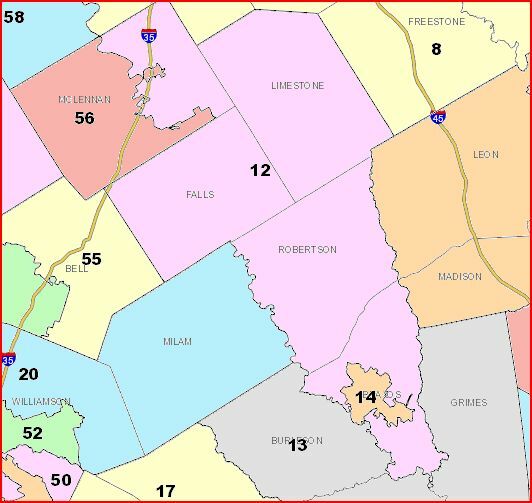 – One corollary to that is that Houston gained in more counties than Strawn did. 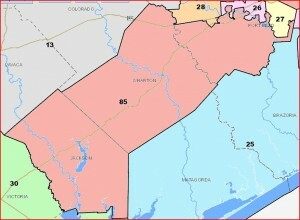 There were only 28 counties in which Houston’s deficit was greater than Van Os’, with Montgomery and Parker being the places he moved backwards the most. 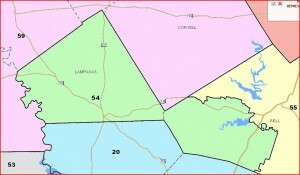 Strawn did worse in 69 counties, adding Orange and Jefferson to the biggest loser list. Recall that there were 107 counties in which Barack Obama lost ground compared to John Kerry. Bowie: Obama’s deficit increased by 3436 votes; Houston gained 1303 while Strawn lost 867. Galveston: -3082 for Obama, +2720 for Houston, and -1307 for Strawn. 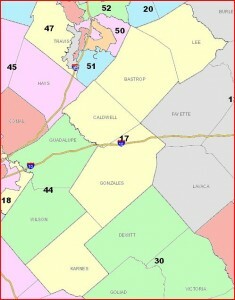 Jasper: -1488 for Obama, +866 for Houston, and -656 for Strawn. Liberty: -1416 for Obama, +1185 for Houston, and +155 for Strawn. Harrison: -1385 for Obama, +530 for Houston, and -11 for Strawn. Johnson: -1280 for Obama, +2745 for Houston, and +2005 for Strawn. Henderson: -1239 for Obama, +1076 for Houston, and +427 for Strawn. Tyler: -1094 for Obama, +501 for Houston, and -260 for Strawn. 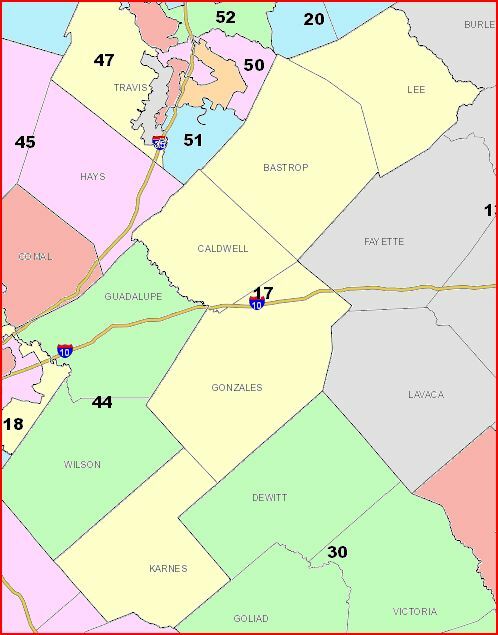 Van Zandt: -1075 for Obama, +656 for Houston, and +178 for Strawn. Lamar: -993 for Obama, +2185 for Houston, and +1208 for Strawn. Obviously, the worst 20 counties for Houston and Strawn were not identical to those for Obama, but I did not find any examples where Houston and Strawn combined to lose votes while Obama gained them. 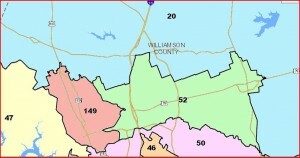 Williamson was Houston’s eleventh-best county, with a net gain of 18,502, while Fort Bend was Strawn’s eleventh-best county, with a net gain of 13,574. Not much variance on this end, in other words. 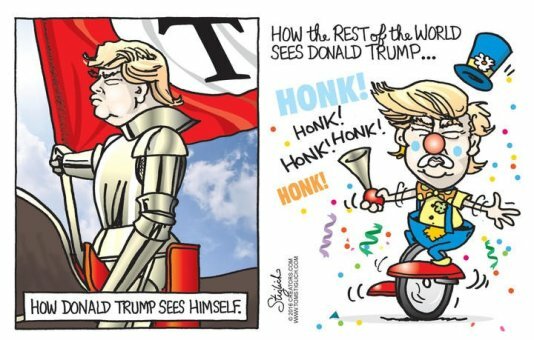 – Finally, I said in my previous entry that if 2012 is to 2008 as 2008 was to 2004, Texas would be a tossup state at the Presidential level. That’s true, but all else being equal, the Republican candidate would still win Texas by a bit more than 200,000 votes. That same level of improvement would be more than enough to win both of these judicial races, however. Sam Houston would win by more votes in 2012 than he lost by in 2008, while Strawn would win by about 150,000 votes. 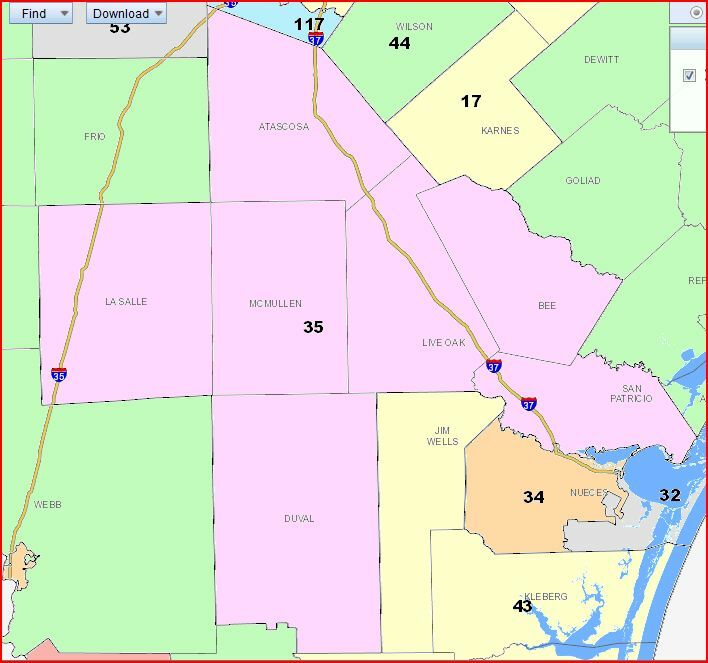 Given that even Republicans think the political landscape in Texas could be quite favorable to Democratic candidates, we may see as much interest in Supreme Court and CCA nominations as we saw in Harris County this year for district and county benches. All standard disclaimers apply, of course, but keep that in the back of your mind. Next in the series will be a closer look at the 2002 and 2006 judicial elections, which will be done in two parts. As always, your feedback is appreciated. Mary Flood notes that while we still don’t have a nominee for US Attorney for the Southern District of Texas, we at least now have a list of finalists. * assistant U.S. Attorney Cedric Joubert. But they also met with two other assistant U.S. attorneys — ex-Harris County District Attorney Ken Magidson, who has been lauded for his handling on the Rosenthal-to-Lykos months, and civil prosecutor Daniel Hu. She refers to this committee, which seems to have done a reasonably decent job of putting names together, though as predicted one that’s a little short on female names. We’ll see how long it takes to go from here to an actual appointee, and whether the Republicans in the Senate will be as needlessly obstructionist with this as they’ve been with so many other nominations.